Here are some detailed quote comparisons from YoungAlfred.com that are useful. You can click the chart to learn more. I’m sorry for the loss, and, am glad that you are able to recover well. This is an eye opener post, and I’m going to share your post with my friends to make sure they review their home insurance as well. However, I’m curious to understand on how the mortgage is waived off after the fire accident. 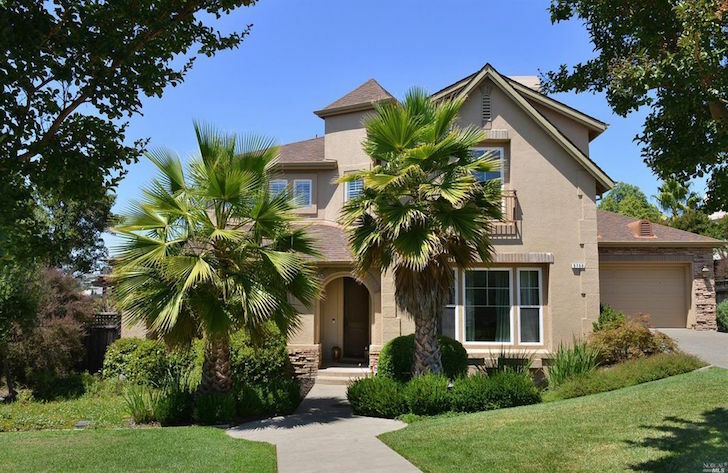 I’ve been expecting that after the fire incident, your insurance company will payout to rebuild the house (the construction cost is generally much cheaper than the land value, at least in SF bay area), but the mortgage keeps going on. I don’t know what I’m missing to understand to become wealthier after the fire accident. Well done! I’ve been in catastrophe claims for one of the big three for 10 years and I think you explained policies very well. It’s paramount to know what your policy covers. Most people are under the assumption insurance covers everything. Well, if that were true most people would be unable to afford it. It’s best to self insure, if you can, after that you definitely want to make sure your policy will cover not the value of your home but the cost to rebuild. I always recommend water back-up, flood, mold, and buying personal property endorsements for anything you have invested time or money collecting whether it’s firearms, jewelry, art, or any other specialty item(s). Lastly, insurance is for catastrophic damages. It’s not a maintenance policy. Policies cover sudden and accidental damages. They exclude all other types (wear & tear, seepage, workmanship etc.) Too many claims within 5 years and you are sure to see premium increases. Thanks for the support and good recommendations. Home owners warranty can cover wear and tear aspect, not home insurance. I had not heard about home liability covering you if you have an auto accident and they are seeking home as part of your wealth. Interesting. Typically also if your spouse is on the title of the home, some portion is protected from liability. Glad you made out okay. If building, I would go through proper permitting channels. No need to stress life even more with uncertainty. 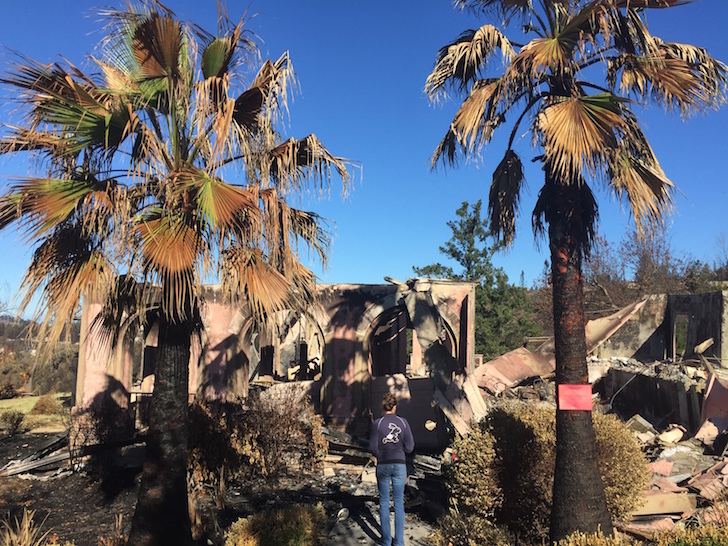 It was sad to see whole neighborhood go up in smoke and so quickly, thank God you and your family came out ok.
Two days after the Santa Rosa fire, I went out immediately to get insurance. Was without for 5 years thank God nothing happened . As my neighbors has big trees the huge wind on the night of the fire scared me that the whole house can burn down in an instant. I always thought AAA rate was on the high side and didn’t use them for auto but surprisingly their homeowner rate is very competitive. My quote was $742 annually for $382k dewelling, additional 50% extended replacement, building code upgrade, 10% other structure, 50% personal property, $152k loss of use and $500k liability. I chose $5000 deductible because i only use the policy as a last resort. So if your premium is high, maybe it pays to go to AAA to get a quote. The agent told me unlike other insurance companies which may not pay out if there is work without permit such as an in-law setup, AAA would still cover it. She also said personal liability would kick in if an injured party from an auto accident sues me for the house equity. I always thought personal liability is only for slip and fall or something that happens on the premise. Renters insurance is important if you aren’t yet a homeowner. In 2013 there was a fire in my apartment building. I had water damage, and insurance helped replace my items, and pay for extended stay while I looked for a new place. The apartment complex was responsible for the building. Insurance is one one those best ti have it and not need it, but make sure your policy has what you need when the time comes. Thanks and could not agree more. Think about how stressful it would be to have to pay for a hotel during that time of uncertainty Glad it worked out for you. Thanks for sharing your story EJ. Now I will make sure to read my policy very carefully when I get home tonight. My neighbor(literally across the street from my house) had a fire last year and was completely burned down. We believe the kids fell asleep while smoking. Anyway, since witnessing that fire, I’ve been very edgy to the point where I bought plenty of fire extinguishers and it’s now all over the house and all the fire alarms are working. I had bought a fire ladder to be able to climb down from my son’s room the month before. So I understand. You should request the full policy from the company. It is 80 plus pages typically and will be emailed or mailed to you. Thanks for your story it’s very important to have enough coverage when disaster strikes! My own dilemma is specific to my 2 bed/3 bath condo in northern NJ. It has a value of 475 K on the market now but I struggle to determine what the replacement costs (dwelling) coverage I need in case of fire and needed to rebuild. 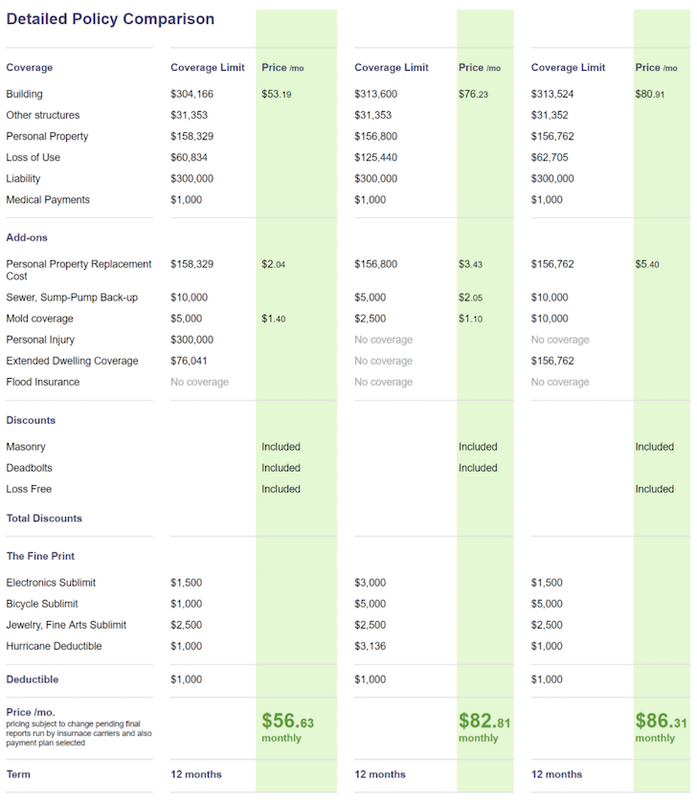 I have a 105 K dwelling coverage and 55 K in personal property. I always question myself whether its enough…. Unfortunately I have no info on the Northeast but I would suggest talking to the HOA. Particularly being in a condo I suspect there are some rules and recommendations on insurance. I just took out my Homeowners Renewal Policy and reviewed it because of your post. I think I’m adequately covered with “Extended Replacement Cost Coverage” although my next move might be to videotape all my belongings just in case I have to fight the insurance company for payment. Insurance to many is a boring subject but not so boring when a catastrophe happens and you really need it! Thanks for outlining how Coverage A Dwelling dictates the other coverage areas — I didn’t know that. Glad to hear you reviewed your policy. it is important to know what is on it. in general I think people are better at reviewing auto policies. The other coverages was unknown to me too but is a substantial amount of money. Agree on the post. Sorry about your house but ummmm….congratulations? You sound a bit okay with it. The above about cover it except earthquake insurance. Last quote I got was depreciated cost with a deductible that was HUGE and there’s really not any options, it’s all the same. The option is hope for the best or take on a huge expense (about equal to your basic homeowners monthly) for a rare event. If my house out there burns down I’d actually come out ahead like you..unless there’s an earthquake then it burns down. From elsewhere in the US hurricane riders are key. And are delayed in onset. Had a bunch of friends scrambling to get it without realizing that there’s a 6 month to effect clause. No use getting it when they see the storm on radar. Flood insurance is huge! Even if you’re not in a “flood zone”. Look very carefully at what the flood zones mean. We don’t “need” flood insurance because we’re not in a flood zone but the estimate is one major flood every 10 years for our zone…how hat makes sense I have no idea. And the premium is minimal. If my house floods once every ten years you can believe i’ll come out better with flood insurance. I’m not in any position to argue with their predicted flood frequency so I just have to take their word for it. If you work for the Weather service YMMV. I feel you with the large house stress. Married? Must be. I bought the house my wife wanted and yes, I love it but right now working on getting the mortgage gone ASAP. And insured to the hilt. I am okay with it, because that is life. You can plan for but not predict what the future will bring. Hurricane riders are important. I lived in New Orleans for years and had flood insurance despite not being in a flood zone (if that can exist there). It was not too expensive compared to earthquake insurance here in Cali. I will admit that I did not have earthquake insurance on my house that burned, and it was a mistake. It is good to be insured for the unexpected. I’m a Certified Floodplain Manager and work for the State Floodplain Management Office in Florida. I am very interested to know what flood zone you are located in, because even the HIGHEST flood zone is everything covered by the 1% Annual Chance flood (commonly referred to as the 100-year flood). 1 in 10 is ridiculously high chance!! Even in the Special Flood Hazard Area, it’s only about a 26% chance of flooding to the Base Flood Elevation over the course of a 30-year mortgage. Glad to hear you have had such a positive experience with your claims. I have heard horror stories with other people who have claims. Can you please share who your insurance is with? I haves used Allied, a subsidiary of Nationwide. They have been good, but people I know with AAA or Travelers insurance have had simpler times comparatively for obtaining their coverage A and coverage B max payments. Another great post EJ. I too read about your harrowing escape. You may be “richer” after the fire but what a hard way to do it. Congrats on the Financial Samurai guest post. You are doing well in the blogosphere. I hope to snag a good guest post after I do a few more posts on my new site. Thanks Hatton and look forward to reading more of your stuff. Great post DDD. One tip I’d add about contents coverage-there are certain items which have very limited coverage. Those are things you may need to schedule to fully cover-jewelry, art, and collectibles being the most common. Your policy likely has a very low limit on those kinds of items. So once you read the policy carefully, contact your insurance company if you need to schedule them. We thought we had the rider for my wife’s engagement ring and it turns out we did not. When we moved from New Orleans to California and purchased our new policy, we somehow forgot to include that rider. It was unfortunate that it was not there when we needed it. So great point Liz! Thanks Financial Orchid. These are all good points and while I have learned a lot about insurance I am sure there are a lot of things that I have to still learn. Thanks for the reminder . I just rechecked our coverage. The only low part is actual cost instead of replacement cost. Otherwise we’re well covered. I’ll have to consider asking for a change. I would recommend changing to a replacement cost for sure. It is likely a minimal increase in your annual cost….actual cost will hose you if you need it. Wow, thanks for this very informative post! It’s very timely since we hope to be closing on our first home in a week and I don’t fully understand what we should and shouldn’t have in our policy. We live near Seattle and are probably going to get earthquake insurance. So glad things are working out for you. Congrats! That is awesome and very excited for you guys. Earthquake insurance is worth looking into! This is a great article and I appreciate the guidance related to something that we all pay little to no attention to. I sent an email this morning to my insurance agent asking the questions that were outlined above. Thanks Sam. Glad to see you were able to take some action! Natural disasters are always as at the back of my mind as well. Earthquake & fault lines news directed me towards (and away from the fault lines) in central and southern areas of Seattle. We’re up North but it’s still scary though. Who do you even get mad at except an act of God? It’s hard to get mad…It was never really the emotion. More shock and awe and then a survival mode. What do we need to do now, what are we missing, etc. Now we are almost 5 months out and some of the fatigue and emotional exhaustion has set in. I clearly remember reading the post on your blog about the fire with my jaw dropped open. It’s hard to even imagine what you’ve been through. I’m so glad to hear that you had an excellent insurance policy and that they haven’t causes you major difficulties loke your neighbor. Thanks for sharing so many really really good insights and tips on home insurance and your story. The pictures of your house before and after are hard to believe and thank goodness you all escaped safely!!! Thanks untemplater. Appreciate the support. It can be quite the crazy experience and am fortunate to have had good insurance. Hey EJ! I remember reading that story on your blog a while back it was harrowing! We currently have renter’s insurance, so I’ll need to take a look at it in case and take pictures of the things we own (so we can itemize one day if we need to). The rest of the stuff we own is probably on the amazon order history. Glad to hear at least that you can rebuild. Sending you some good thoughts from here :). We have a renters policy now (no longer home owners) and have made sure to insure for all of the things we bought. You can also look to see if there is a option to have a rental paid for if your place ever burns down. Not sure if there is but may be worth looking into. Thanks for sending the good thoughts. I’m sorry about the loss of your family home and wish you the best of luck with the rebuild. Thank you for this very clear and informative post. I live in Los Angeles, also vulnerable to natural disaster, and this is a good kick in the pants to take a hard look at our homeowner’s insurance and to reconsider earthquake insurance. I’m pretty sure we just bought the bare minimum homeowners policy when we purchased our house and that’s it completely inadequate. Maybe this is a separate post, but I’d be interested to hear more about the role of the insurance broker, both in setting up the policy and negotiating during the claims process. Thanks Frieda and yes, take a look at your insurance policy for sure. As for the broker/agent, they are very important in this process. I just went with what they recommended and it was pretty good coverage. Also, after the disaster they should be on your side. My broker has called my insurance company a few times but has not been as active as some may expect. If I asked them I am sure they would be more involved but I have been the one calling and dealing with the insurance adjustor. 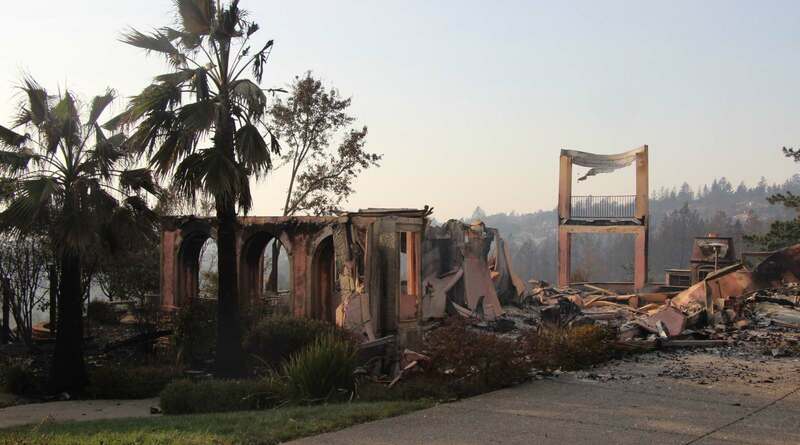 Just another reminder of the importance of proper homeowners insurance coverage. It is indeed generally a very good bargain for the coverage that you can get. It pays to insure what is likely the largest asset for many people. You just don’t know when disaster might strike. Homeowners in areas prone to flooding should also understand that typical policies may cover water damage from internal plumbing issues, etc. But they do not cover flood damage. For this type of protection, you need a separate flood insurance policy. I used to live in New Orleans and we had separate flood insurance. It was a big issue during Katrina that people were uninsured for flood damage. Insurance is by far the best deal you can get for the money.